Computer Network Engineer | What is Computer Network Engineering? What are Computer Network Engineers doing? Network engineers design and maintain the systems that connect computers and electronic devices. High level engineers create the network architecture. They may also maintain existing networks. Duties can also include installing and configuring route and switched networks, configuring and supporting wireless networks, and verifying connections to report parts of WANs. What is Computer Network Engineering? Network engineering is closely related to network administration, and some people use the terms interchangeably. A network engineer is apt to do more front-end work, though, while an administrator keeps things running. At a small company, systems engineering would likely be combined with systems administration. If you work as a network engineer at a small company, you might also provide technical support. There are opportunities for advancement within the industry. It's not uncommon for systems engineers to move up from technological to managerial roles. A network architect (if a company delineated such a role) would also be a high level position. As an architect, you would be responsible for modeling the network and putting together the overall design. Jobs in the computer networking industry are growing. The Bureau of Labor Statistics predicted that positions for network and systems administrators would increase by 28% between 2010 and 2020. Wages are solid. The average salary was $74,270 in 2011. As can be expected, architects earn even more. Network architect is in a job group that averaged $81,670 in 2011; 22% growth has been projected. Interested in becoming a network engineer? Experience will help you move through the ranks. A solid education is also important. It is possible to find an undergraduate degree (or a track within a degree) that is specifically focused on networking. Coursework may include WAN and LAN networks, operating systems, server administration, and routers. You will also need a foundation in network security (though a large company will often have a specialist in this role). Computer science is a common major for computer network engineers. Some bachelor’s level programs take a pragmatic, skills-based approach. You may earn certifications while earning your bachelor’s. Certifications show that you know the latest technology. Computer network certifications are generally vendor-specific. However, some of the technologies, like Cisco Internetwork Operating System, are ubiquitous. The Cisco Certified Network Professional is a popular certification. There are tests in routing, switching, and troubleshooting. If you don't have the experience required for CCNP, you can become a Cisco Certified Network Associate. You can accomplish this by passing an exam in routing and switching. There are specialty Cisco Network Professional Certifications that are appropriate for professionals in more specialized roles. You can, for example, specialize in wireless networking or voice. There are also expert level certifications, including Cisco Certified Network Expert and Cisco Certified Design Expert that you can try for down the road. These can be quite difficult to pass. CompTIA, Novell, and Microsoft also grant respected credentials. The CompTIA Network+ certification is for network administrators and technicians. Certified Novell Engineer, meanwhile, shows that you have skills applicable to different stages of the life cycle. You are adept at everything from planning to troubleshooting and upgrading. 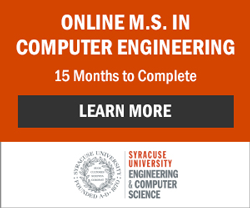 You can also opt to study computer networking at the graduate level. This can be a good option if you see yourself more as an architect than an administrator. Coursework may include converged networks, data network protocols, signal processing, data compression, and advanced architecture.